This Sunday, Feb. 2, will mark the first time in which two players from Portland State – DeShawn Shead and Julius Thomas – face off in the Super Bowl. Shead is a member of the Seattle Seahawks’ infamous “Legion of Boom” defensive backfield, which includes NFL Defensive Player of the Year candidates Earl Thomas and Richard Sherman. At PSU, Shead was named Most Outstanding Defensive Back three years in a row, 2008 through 2010. Whether or not you are a football fan, you should check out Super Bowl XLVIII on Sunday to witness two Portland State football legends compete for the pinnacle of their careers. I am looking forward to this game to see my hometown Seattle Seahawks bring home our first Super Bowl trophy. 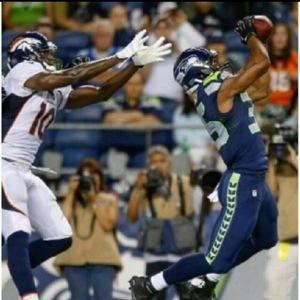 Who do you think is going to win the Super Bowl, Shead’s Seahwaks, or Thomas’ Broncos? 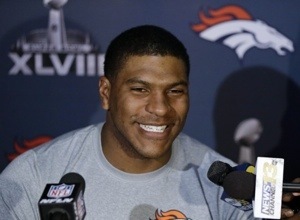 Congratulations and good luck to Deshawn Shead, and Julius Thomas on their accomplishments! As always, GO VIKS! For those of us who live in the city without a car, we sometimes forget how easy it is to get out of the city for a weekend. Whether you take a bus or hitch a ride with a friend, it is really easy to just get away, and I know sometimes I forget that and stay cooped up in my dorm. This past weekend I went to Seattle with an old friend for a concert; I hadn’t been to Seattle since I was two and planned on making the most of it. Before the concert, we went and explored a few of the touristy spots of Seattle. I got to watch the fish throwers at Pike Place Market, I bought some fresh plums from a fruit stand, saw the ever famous Gum Wall on Post Alley and walked around the outside of the Space Needle (there was no way I was paying 20 dollars to ride an elevator up to the top), and then went to the concert. Even if I was only away from campus for a day or two, it was still a nice change of scenery.